Do you remember the Toyota-Isuzu partnership? Probably not, as these two Japanese automakers are at polar opposites in their involvement in the U.S. market. Indeed, Toyota is one of the top brands in the U.S., while Isuzu hasn’t sold a vehicle here since 2009. Certainly, Toyota dominates in several things, including hybrid technology, but it is weak in a few areas, including diesel engineering, which happens to be one of Isuzu’s strengths. 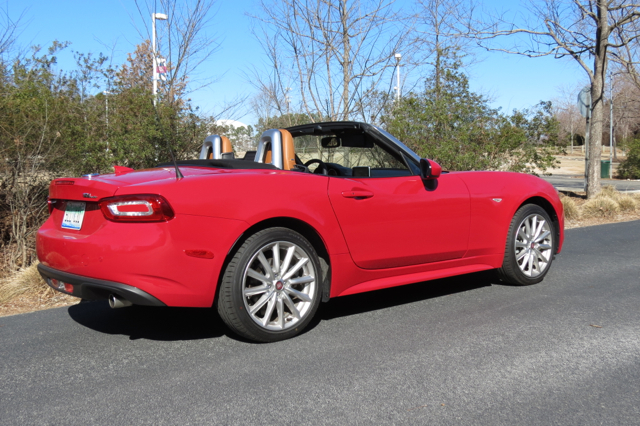 This Fiat 124 Spider is the result of an agreement FCA made with Mazda. Thus, in 2006, Toyota and Isuzu signed an agreement to utilize each other’s resources in diesel development, a partnership that made sense at the time. For instance, with fuel prices still high and soon to reach higher still, the original agreement allowed both manufacturers to strengthen their diesel involvement. But as the ensuing years have attested, changes in fuel prices, customer tastes and regulatory concerns have changed things considerably. Diesel demand is down and likely to continue to fall. So, Toyota did this month what makes perfect sense: it officially dissolved the partnership. Further, Toyota will sell its 50 million shares of Isuzu stock, which gave the company a 5.89-percent stake in Isuzu. Moving forward, the two companies will continue to collaborate on projects feasible to both. In a press release, Toyota cited the automotive industry’s “sweeping, once-in-a-century changes” as the company’s reason for concentrating on other matters. For instance, the two automakers are likely to continue collaborating on other areas where they are strong. For Isuzu, that would be commercial vehicles. And for Toyota, that’s always been passenger vehicles, this automaker’s mainstay. 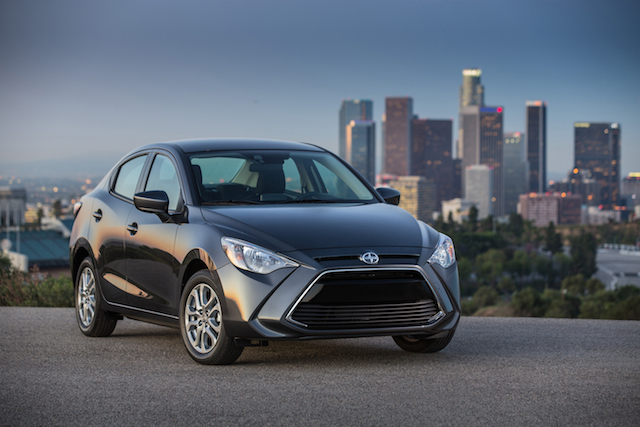 This Scion iA (now Toyota Yaris iA) is the result of a partnership between Toyota and Mazda. Toyota has long collaborated or held stakes in junior Japanese manufacturers, including Mazda, Daihatsu and Subaru. In 2015, Mazda and Toyota announced a partnership whereby Mazda later supplied a vehicle to Toyota based on the Mazda 2. Originally sold as the 2016 Scion iA, this model is currently marketed as the Toyota Yaris iA now that the Scion brand has dissolved. As for Mazda, the automaker is certain to benefit from Toyota hybrid technology, although as of this writing we haven’t seen such a model in the U.S. market. Toyota might also aid Mazda in all things hydrogen, yet another Toyota strength. Industry collaboration is growing and will likely expand further as automakers deal with two matters that Toyota described as the “sweeping, once-in-a-century changes.” Specifically, these involve vehicle electrification and autonomy. In June 2018, General Motors and Honda announced the second component of their earlier agreement, which builds on a joint venture to produce hydrogen fuel cell systems as early as 2020. The latest agreement covers electric-vehicle batteries, which is something GM will supply to Honda, according to Bloomberg. By doing so, GM will lower its own costs as both manufacturers ramp production of electric vehicles. 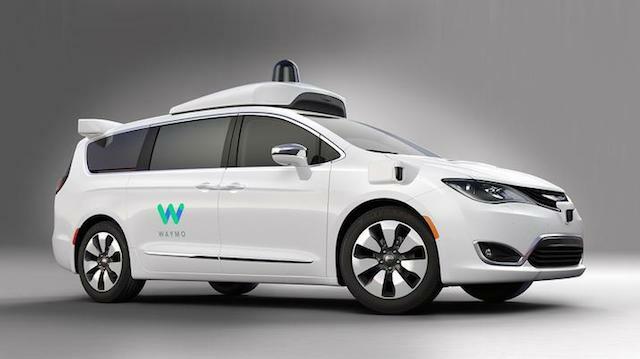 Automakers are also collaborating with tech companies, such as FCA with Waymo. For Honda, the agreement with GM enables the company to forge a partnership as its chief domestic competitors build their own. We already looked at Toyota’s stake in Japanese manufacturers. Nissan, however, has the most aggressive alliance going as the company has a significant stake in Renault and Renault has a significant stake in Nissan. In 2015, Nissan also purchased a controlling interest in Mitsubishi. The three companies currently form an alliance that sells more vehicles worldwide than any manufacturer. Other areas of collaboration include GM and Ford working on automatic transmissions for the second time this millennium. In the early 2000s, the two manufacturers partnered to develop the six-speed automatic transmissions which were common in Ford and GM vehicles for more than a decade. Later, the two companies developed new nine- and 10-speed automatic transmissions, which are widely used today. So, although Toyota and Isuzu have officially ended their partnership, the collaborations will continue. As with many such efforts, the agreement is usually temporary and is sometimes fluid. As long as both parties see a benefit in working together, then these will continue. After all, lowering costs is the dictum of our day. Finally, consumers will benefit too, as those savings are passed on, making new technologies affordable for most. See Also — Chrysler, Google Project: Start of Something Big? Photos copyright the respective manufacturer except for the Fiat 124 Spider, which belongs to Auto Trends Magazine.